Skechers bring us 52189/544 FLEX ADVANTAGE. 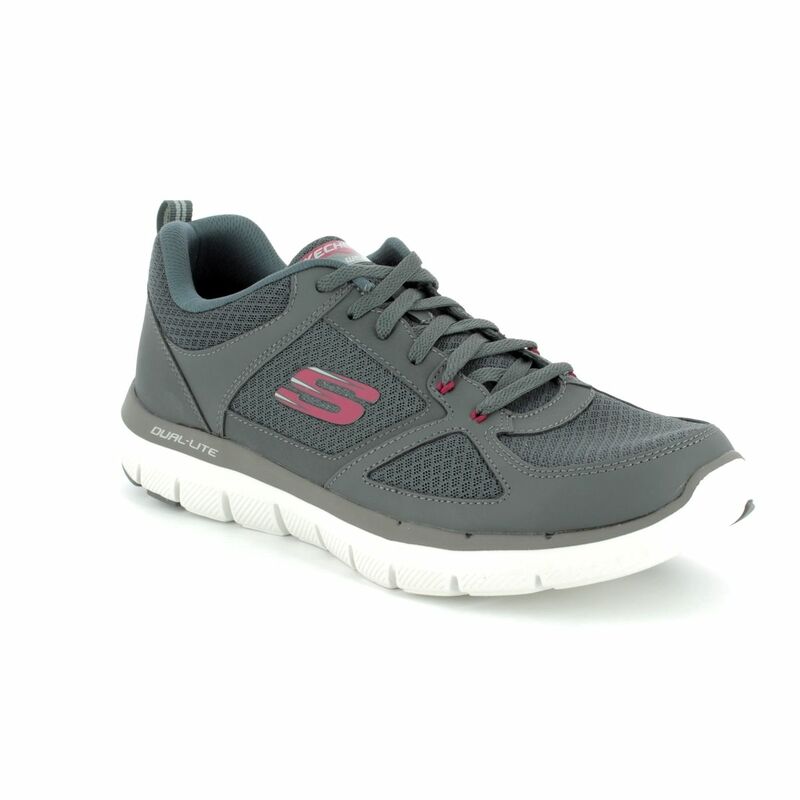 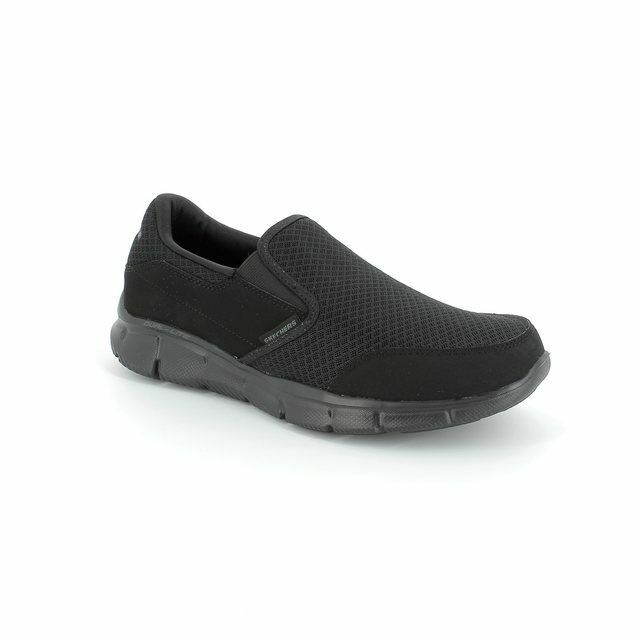 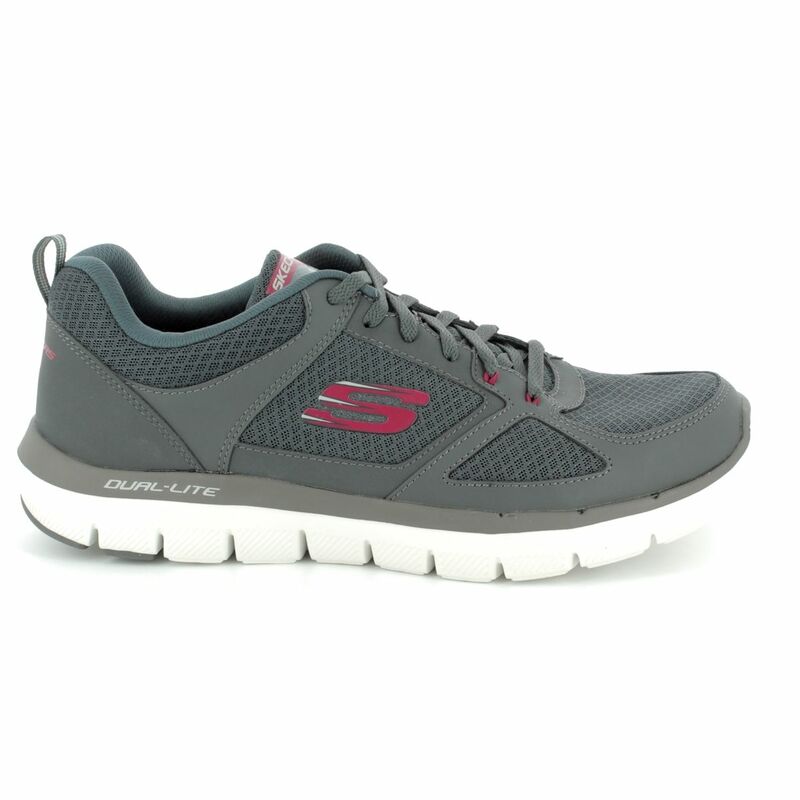 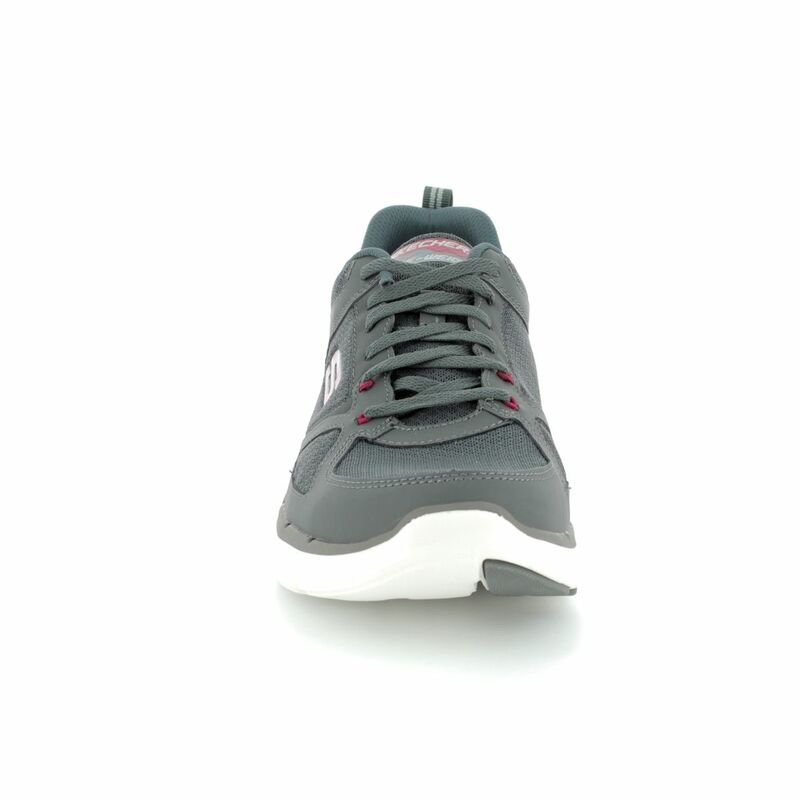 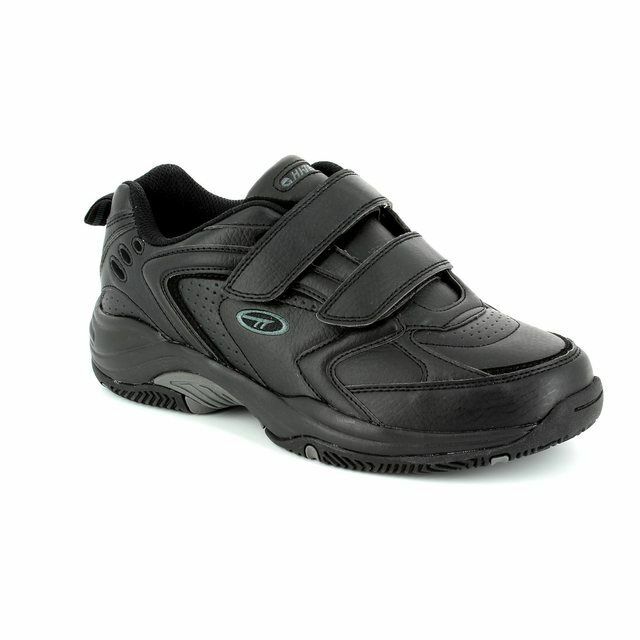 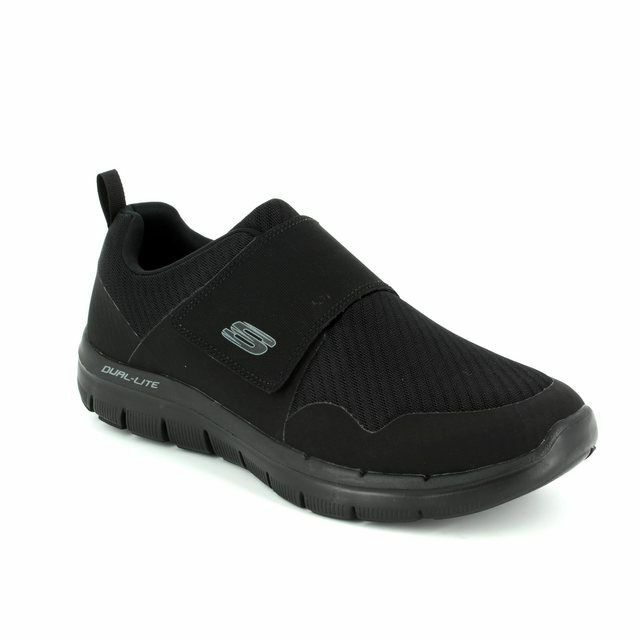 These mens Skechers are the perfect sports chic trainer. 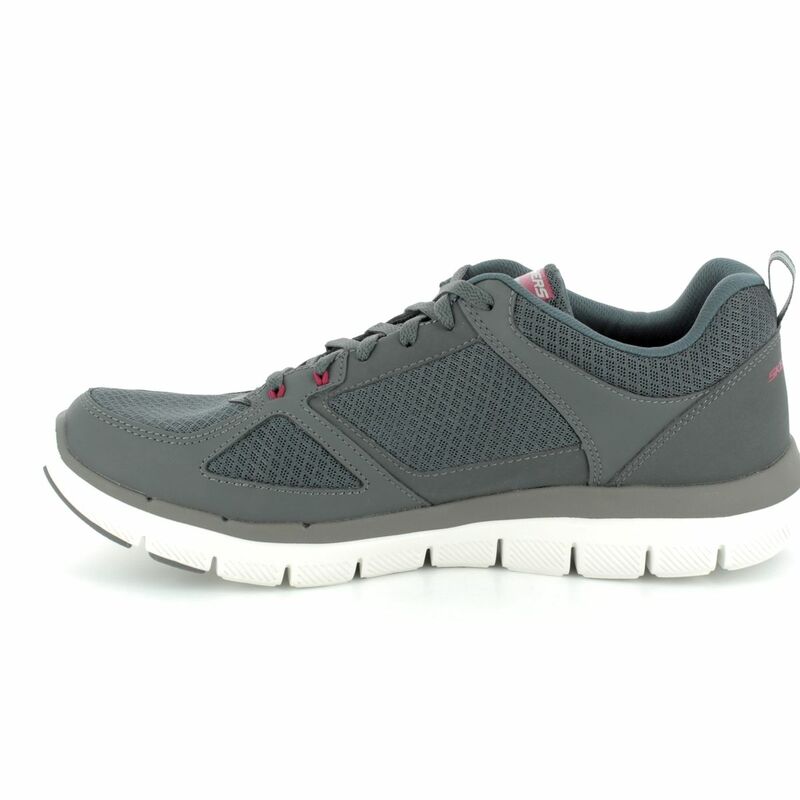 The grey suede and mesh upper is accented with red detailing, giving it a sophisticated edge. 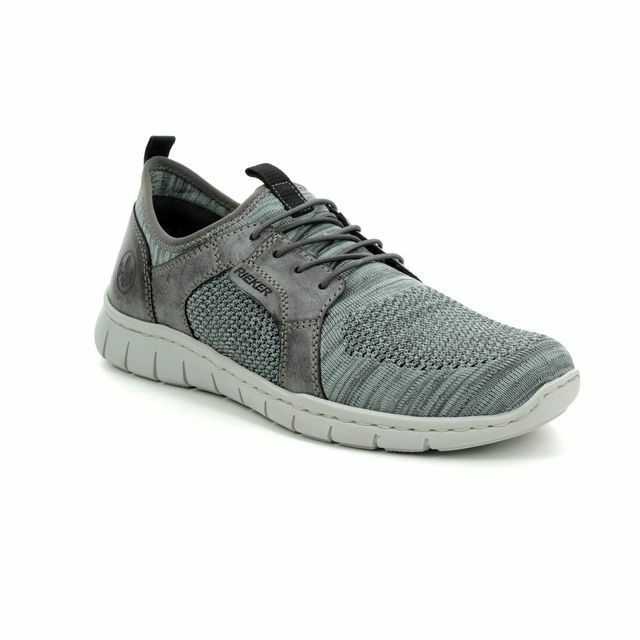 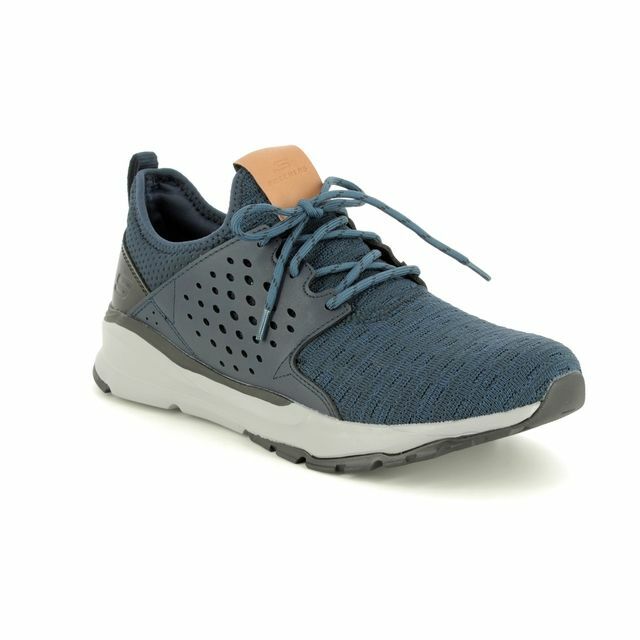 The mesh fabric upper adds a cooling effect to these shoes while the 'Air Cooled' memory foam insole adds to the cooling effect in addition to increasing the overall comfort of these mens shoes. 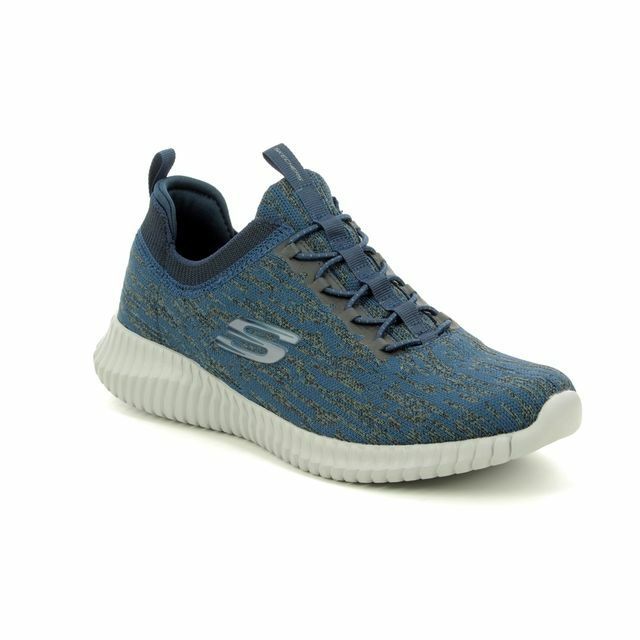 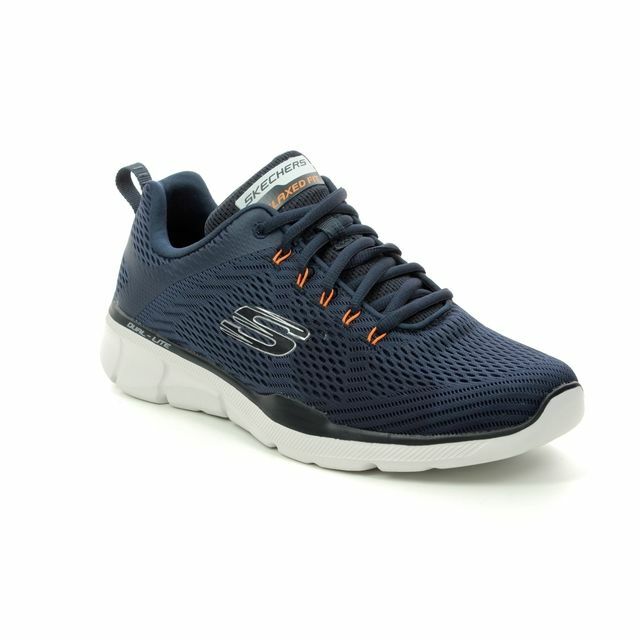 Skechers have used a lace fastening to allow these shoes to be adjusted for your perfect fit while the padded tongue offers cushioning for the laces. 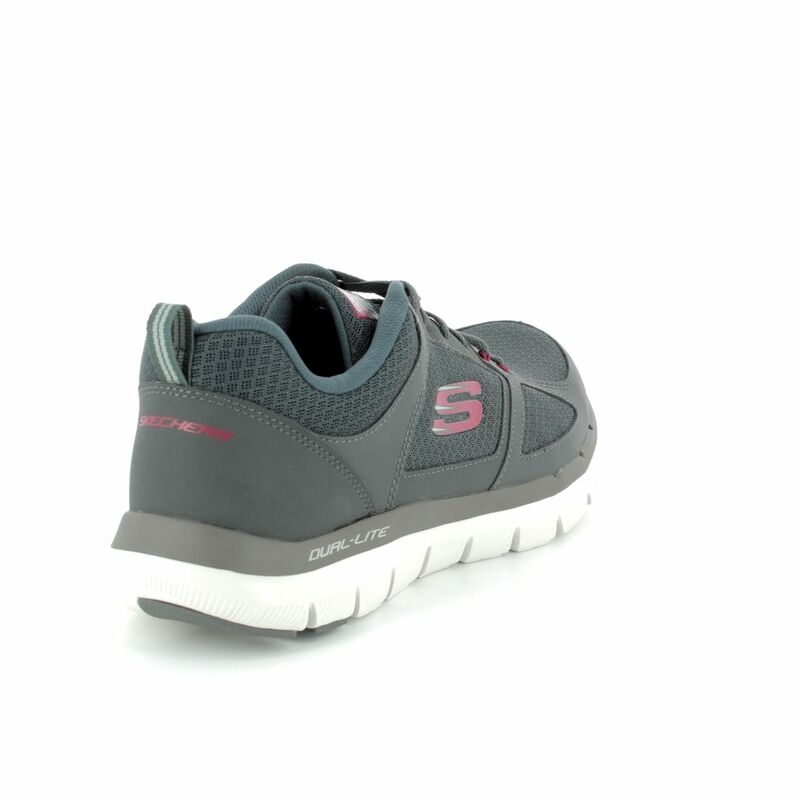 The 'FlexSole' shock absorbant outer offers a superbly lightweight and flexible outsole which features their 'Traction' rubber. 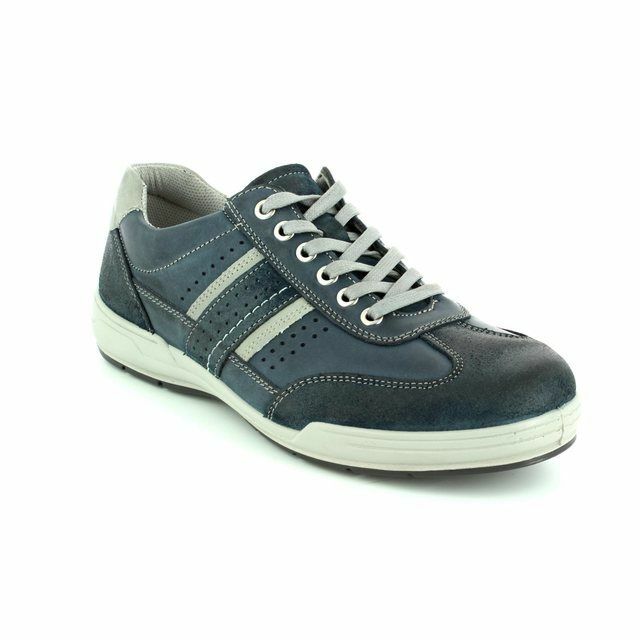 Perfect for moderate exercise and daily wear, these mens trainers are a fantastic addition to your wardrobe. 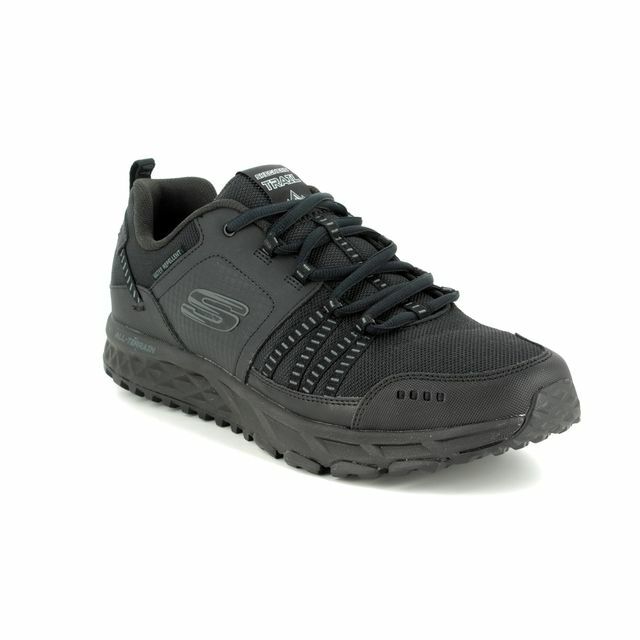 Buy your Skechers men's trainers from Begg Shoes and Bags, an official Skechers stockist.